Attend Carnegie Council's international affairs events in person in New York City or watch them live online; December features programs on journalism, AI, the Korean Peninsula, and a community event for the 70th anniversary of the Declaration of Human Rights. Carnegie Council is a forum for the world's leading thinkers, experts, and decision makers. It has earned a reputation as an honest, objective voice for ethics in international affairs. 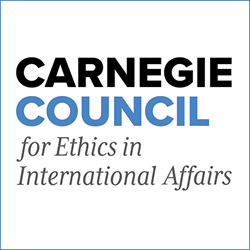 Carnegie Council for Ethics in International Affairs announces its December 2018 current affairs programs in New York City. Press passes and student tickets are available. Please contact events(at)cceia.org. Alan Rusbridger, Oxford University; former editor-in-chief of "The Guardian"